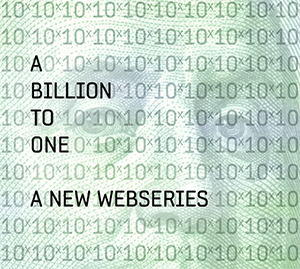 “A Billion to One” is an episodic serial drama that will follow storylines from all over the world, each created by a different director. The story centers around a dying billionaire with no heirs who decides to leave his fortune to the person who can demonstrate that they are somehow most deserving of his wealth. Characters from all over the world apply to be considered the billionaire's heir and must prove that they are deserving of the fortune. The resulting search spawns countless storylines and vignettes, each written and directed by a different CollabFeature filmmaker. “A Billion to One” will introduce the world to the most culturally diverse ensemble cast in television history. Stay tuned for trailers, platform and more info soon.